The average adult body requires approximately 2.5-3L per day. 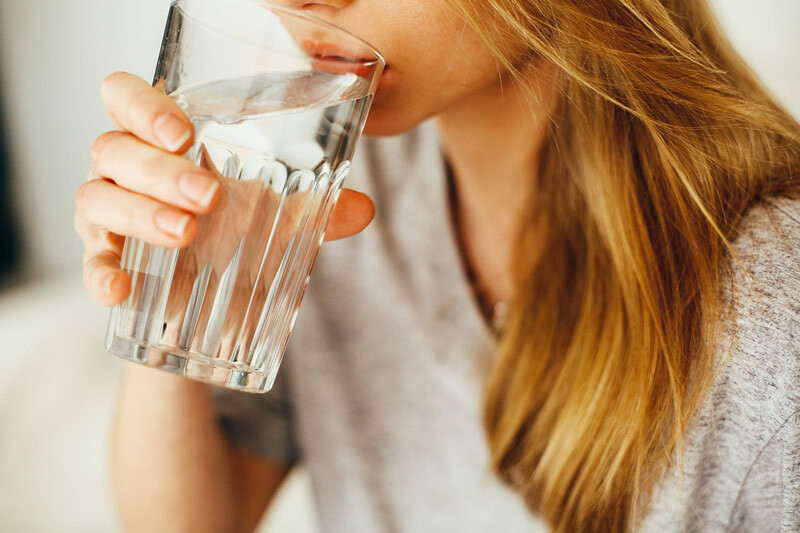 Would you know the signs of dehydration? Serve as shock absorber inside the eyes, spinal cord and in the amniotic sac surrounding the fetus in pregnancy. The total body water content is higher in males than females (therefore males need to drink more to replace losses. You can lose as much as 1.5L during a 3 hour airline flight. Most adults lose an average 2.5-3L per day and this amount will increase in hot weather and with increased exercise. If you are feeling thirsty you may already be dehydrated. How can I replace my fluid losses? Milk (particularly low fat versions) is an important fluid, as it is about 90% water. Drinking fluid during exercise is necessary to replace fluids lost in sweat. Ensure adequate hydration during exercise helps reduce the risk of heat stress, reduce cramps through maintaining normal muscle function, and ensure optimal performance. Herbal supplements – such as dandelion, parsley and celery seed increase urine production and are used to treat fluid retention. Excessive use can cause dehydration, so watch the dosage. Breastfeeding – mums need and additional 2-3 cups of water a day to replace the fluid lost in breast milk. Irritable bowel syndrome – diarrhea is a common symptom of irritable bowel syndrome and can cause dehydration. Diabetes – excessive thirst is one of the symptoms of untreated diabetes. When blood sugar levels rise, the kidneys attempt to remove excess glucose by producing more urine. This removes increasing amounts of water from the body, leading to thirst and dehydration.